Fr. 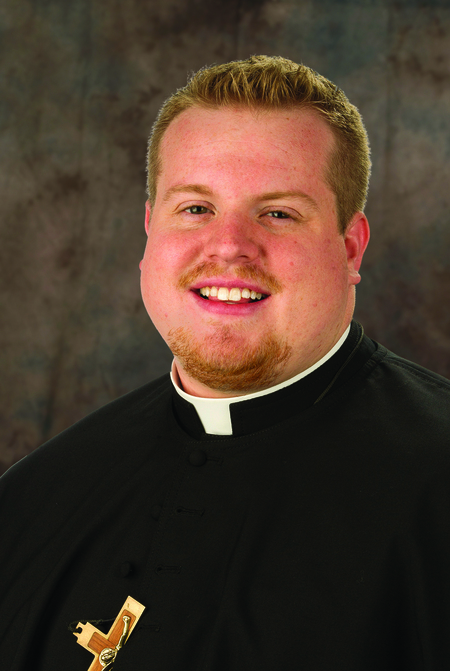 Jarrod Waugh, C.S.C., was ordained to the priesthood in April 2013, and joined the Office of Vocations later that summer. For the past two years he provided sacramental assistance at Christ the King Parish in South Bend, where he also served as a Transitional Deacon. Fr. Jarrod grew up in Edna, Kansas. He now resides at Moreau Seminary. Fr. Jarrod completed his bachelor’s degree in Philosophy and Theology from the University of Notre Dame in 2008 and his M. Div. in 2012. He spent his first two years of college in Keough Hall before entering the Old College Undergraduate Seminary Program as a Junior in 2006. The Congregation of the Holy Cross Vocations Office has developed a new Vocations Curriculum. It is a free download to parents, teachers and religious education catechists for use by students Kindergarten through Eighth grade. As a college student, Fr. Jarrod was active in the campus Knights of Columbus, and was a catechist for the Totus Tuus youth program in his home diocese of Wichita. With his close ties to the Knights, he confesses that he loves the Knight’s Steak Sandwiches, available on campus before every Irish home football game!